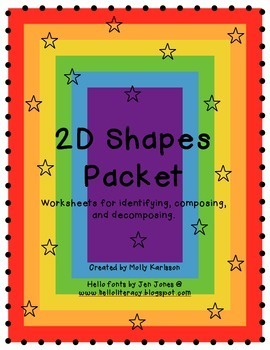 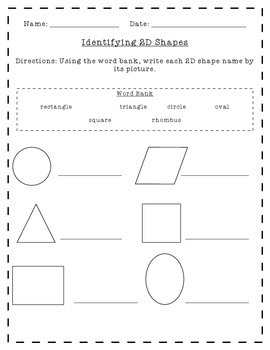 This packet is a great resource to add to your 2D shapes instruction! 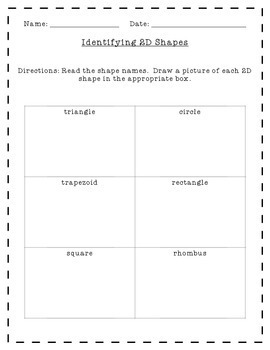 Included are pages that work with identifying 2D shapes through writing and drawing, as well as composing and decomposing 2D shapes. 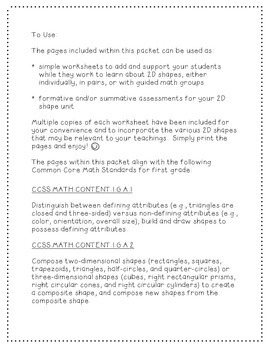 This packet is Common Core aligned and can serve as supplemental worksheets and/or formative and summative assessments.